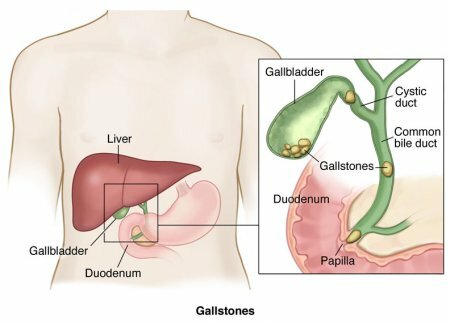 Gallstones that move out of the gallbladder can pass into your stomach. However, a stone may become lodged in your bile duct due to the size of the stone or the anatomy of the biliary tree. Thus, bile duct stones are gallbladder stones that have become lodged in the bile duct. Stones that become stuck in the ducts that lead to the duodenum can be both agonizing and dangerous. Movement of the gallbladder is referred to as gallbladder motility. This small but muscular organ squeezes to force bile into the bile duct. If the gallbladder does not perform as it should, the bile may not be able to makes its way into the bile duct, instead becoming concentrated and forming small crystals. 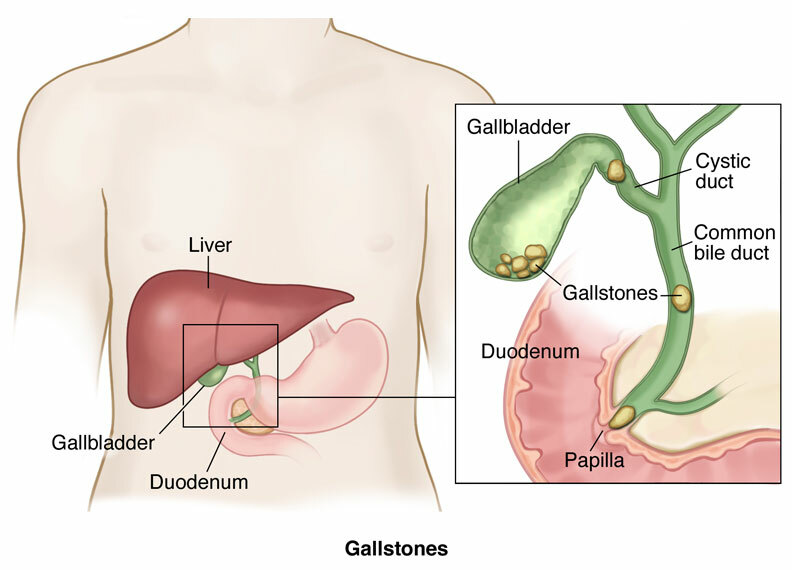 A person with gallstones may have what are called "silent stones". Studies show that most people with silent stones may not experience any symptoms at all for awhile, remaining symptom-free for years and requiring no treatment. Silent stones may go undiagnosed until they begin to cause discomfort. When actually looking for gallstones, the most common diagnostic tool is ultrasound. An ultrasound examination, also known as ultrasonography, uses sound waves to create images of the various abdominal organs … &hel including the gallbladder. If stones are present, the sound waves will bounce off the stones, revealing their location.